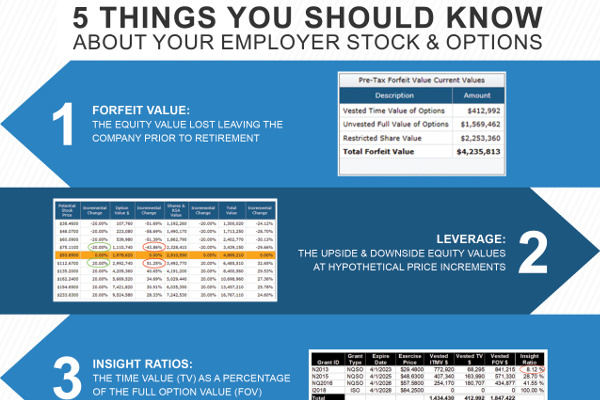 This infographic can be used to promote professional equity compensation guidance to clients and prospects that receive company stock and options. These five concepts are included in the StockOpter.com client deliverables. They have proven to be very effective at engaging stock plan recipients and helping them to make timely, informed and profitable decisions. These concepts are not illustrated on stock plan participant portals or using general financial planning tools. 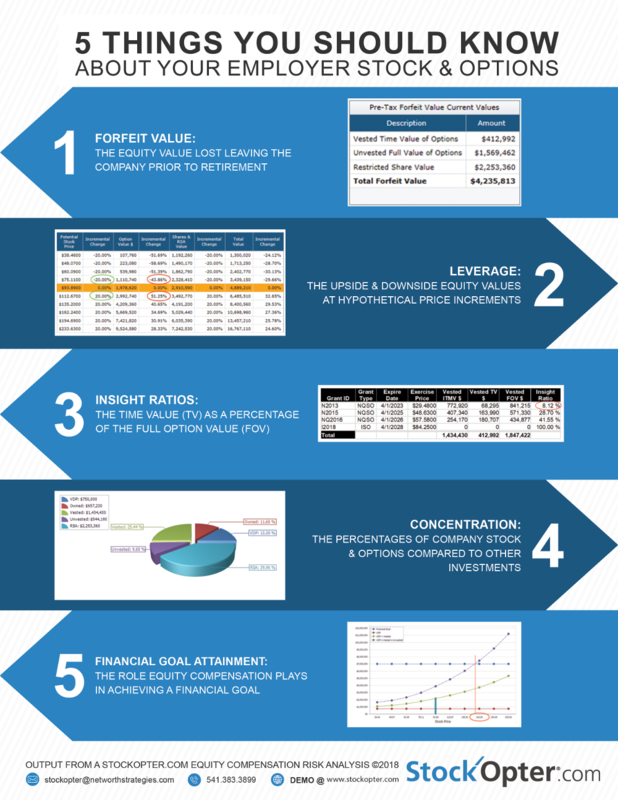 Click on the image below to view and print this infographic. Click here for a brandable version where you can add your contact info at the bottom.